This horchata, Kraken rum, and Licor 43 drink is a vast improvement over its predecessor, La Leche, which I tried over a year ago at Dos Perros. What’s the difference? Only the Licor 43 and a larger serving. It’s possible that the rum has changed since then, too, as Kraken is a very distinctive and bold spiced rum—I’ve reviewed it before, too. With this ingredient list, the Drunken Horchata reached a wonderful mix of spice, graininess, and richness from the rum. The Licor 43 was strong enough of a presence to be distinctive, and it worked well with the Kraken in drawing out the other horchata spices and making them stronger than just the glass of Dos Perros horchata would be by itself—I like my horchata spicy. 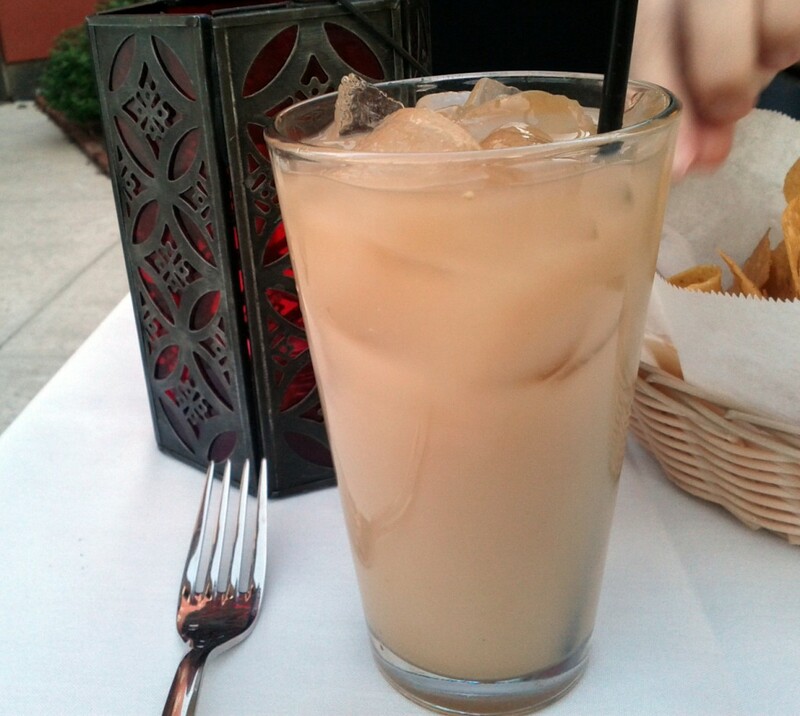 If you enjoy horchata, licorice, and rum, the Drunken Horchata is definitely worth ordering. I just tried my first boozy Horchata on Saturday. It’s true love. Good to know that Dos Perros reps it so hard.